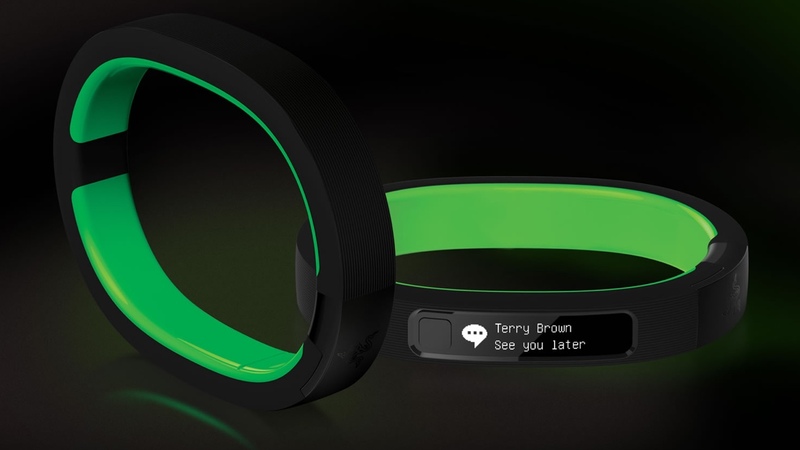 The Razer Nabu is one of the most anticipated wearable tech devices and it's finally on its way. Thanks to some ambitious plans from Razer, its activity tracker has been on our radar since January since it was shown off at CES 2014, and the success of wearables from manufacturers with less creative kudos than Razer means it has every chance of success. The good news for US consumers is that the band will launch on 2 December, and if you're a lucky member of the Razer Insiders program, you can buy one of 5,000 band today. While initial reports said that the Razer Nabu would be released on 31 October, priced at €99, the band didn't show and the company remained tight-lipped. However, we now have word that the Razer Nabu will be on sale in the US from 2 December through the Razer website. However, lucky members of the Razer Insider programme can get their hands on a hand immediately. It seems that Razer Insiders is still accepting new registrations, so it might be possible to jump the queue. You can head over to the website here. The bad news is that if you don't live in the US, there's currently no word on when you'll get the Nabu treatment. But it can't be another year now...can it? The long development schedule will put the Razer in direct competition with the likes of the new fitness trackers on the block like the Fitbit Charge, the Microsoft Band and the Basis Peak, competition that didn't even exist when it was originally unveiled. The Razer Nabu is made from certified hypoallergenic materials so there should be no Fitbit Force-style skin irritation issues when wearing it. The display is scratch and shatter resistant and features an anti-glare coating. It comes in two different sizes: 81.0 x 63.4 x 13.6 and 75.3 x 59.1 x 13.6mm, and there's two extra clasps in the box for adjusting the size for a better fit. There are four different colour trims to choose from - green, orange, grey and black. The Razer Nabu band has an impressive line-up of planned features, which really push the boundaries of the current crop of connected tech. The Nabu band blends the traditional activity tracking technology – calories burned, steps taken, floors climbed, distance travelled and sleep time – with social features. The band is designed to act like a smartwatch, to alert the user to calls, texts, Google Maps, Twitter, Facebook, Instagram, Skype and WeChat. The latter is a huge Chinese social network, which will display messages on the Nabu’s screen. The Private Message screen is positioned on the underside of the band, which enables you to keep your messages private, and means you can discreetly look at your notifications without showing them off to the world. Razer is also experimenting with gestures, so the user can shake away notifications quickly, without having to switch to their smartphone for every unread email. The final headline feature is the social discovery aspect, Nabu Pulse, which will alert you when any of your Nabu-sporting friends are in your vicinity. What’s more, if you meet a Nabu user you don’t know, a high-five will swap contact details between the bands seamlessly. Razer has outed the screen specs of the Nabu, which will feature a 128 x 32 OLED display, for showing notifications and social messages. The use of OLED helps minimise battery drain, and the company states that its band should last between five to seven days before requiring re-juicing – impressive longevity. Elsewhere, there’s a splash-proof build, accelerometer, altimeter and vibration motor, which hopefully will mean smart waking functions based on your sleep cycle. There are a duo of Razer Nabu apps that are already available for Windows Phone, Android and iOS - Nabu Utility and Nabu Fitness. The former lets you manage your device and choose the sorts of notifications that will appear on the display and the latter is your one-stop-shop for tracking your activity and setting your fitness goals. As well as the official apps, Razer is opening up the platform for developers, and a Nabu App Marketplace will go live after launch featuring third-party efforts that tie in the data from the device. Timi Run Everyday is one such example of the sort of app you can expect to see landing in this store. The game lets you redeem your activity data for in-game power-ups in 2D side-scrolling runner adventure. Razer has already stated that it expects a low price for the Razer Nabu and we full expect the band to be available for less than $100, so the touted €99 price seems about right. There was also a limited beta program in July 2014, where the band was made available to lucky testers for just $49. We'll keep you updated with regards to the official Razer Nabu release date and price details and we'll bring you a full Razer Nabu review as soon as we can.